Petmate Le Bistro Automatic Pet Feeder Review - Is It A Reliable Feeder? Petmate Le Bistro pet feeder is programmable and delivers controlled food portions up to 3 times per day. The range of portion is from ¼ to 3 cups per serving, so you can set the amount you want for your pet to eat by day. This daily amount of food is kept in a tough plastic base for food “on demand”. 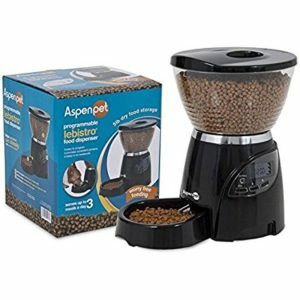 Petmate Le Bistro features a 4.2 lbs capacity hopper filled to the top. The food tray and internal wheel hold additional 1.3 lbs dry food. The feeding bowl can be removable for easy cleaning. This food dispenser uses 3 D-cell alkaline batteries which are not included in the product. The batteries last approx. 6 months and it has a low-battery indicator that lets you know when the batteries need to be changed. The feeder can be assembled in minutes with no tools and it measures 10”x 14”x 15”. Includes a one-year limited warranty. 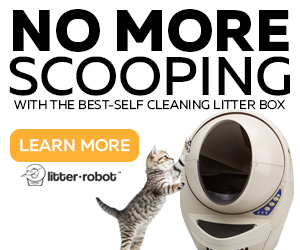 What are the Pros and Cons of the Petmate Le Bistro pet feeder? Easy to program following the instructions. It has a paddle wheel inside that rotates to dispense the food, which is sectioned and made of a soft flexible material to prevent jamming. It relieves the task of measuring and pouring food for your pet every day. Cats can figure out how to get more food using the paw. The minimum portion you can feed your cat is a 1/4 cup. Not recommended for cats on a diet or if you want your cat to eat more than 2 meals per day. New version works only with batteries. Sometimes kibble gets stuck in the chute. You have to set the alarm clock using the LCD screen. It has 3 buttons to go through the process, so this way you set the schedule feeding times for your pet. It has also a meal counter to set how many times you want your pet to eat daily. To program this feeder is simple, just press and hold the “Enter” button, then use the “Up” and “Down” arrows to set the current time, the number of meals, meal times and meal sizes. The Petmate Le Bistro pet feeder is a good automatic pet feeder, but not as desirable as other options for cats, especially if you need to give your cat a very accurate amount of food per day. For this reason, the Petmate Le Bistro may not be suitable if you have your cat on a diet. 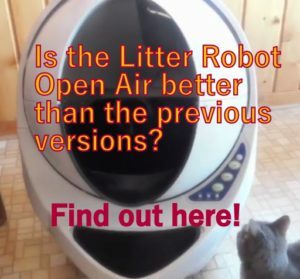 This unit works better for dogs, but it may work well for cats in some situations. If you want to feed more than one cat. If your cats are not smart enough to figure out how to get more food from the chute. 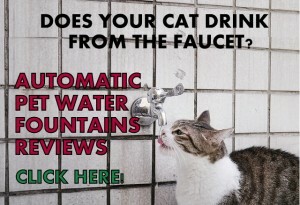 If your cats are very active (indoor/outdoor). 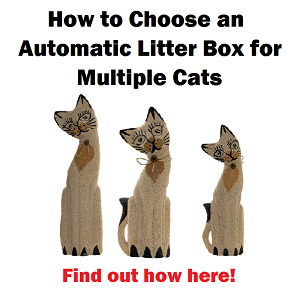 If you want to control and/or reduce the food intake of your cat. If you need a unit that works with batteries and adapter. Some customers complain that this feeder does not release the food in the programmed time and portions. Consider these customers’ experiences to make a decision. We have had a Le Bistro for about a year (because we really haven’t found anything better) and it has pretty much failed us at every turn. It has never dispensed the correct amount of food, our cat is able to manipulate the mechanism to dispense his own food when ever he likes and recently the feeder goes off at odd times like 8:30pm when it is set for 5AM and 6PM. Too late to return it now, but what a piece of junk. 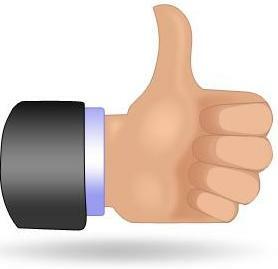 Thanks Steve for telling your experience in my website. This automatic feeder as several design issues and I would not recommend it as first option because of what you described. It is more recommended for dogs or more than one cat that are not too smart to figure out how to get extra food from the nozzle. I am sorry you had such a bad experience and waste of money with your purchase. Because of experiences like yours is why I decided to create this website. Let me recommend you the CSF-3 Super Feeder as it is the best so far in the market. I have had the same experience that Steve has with this feeder which is why I am looking for a better one. We had the Le Bistro for about 16months and it was working well. One of our cats did however work out how to steal extra food but gave up after a few weeks of only getting a few extra pieces (not smart enough to keep going). Recently it just stopped dispensing food, we have given it new batteries, cleaned the dispensing mechanism but nothing has worked – the LCD does have the times programmed properly but NADA! So now looking for something with better reviews. Thanks for your comment, Roz, I am sure your experience will help people to decide for a better unit. 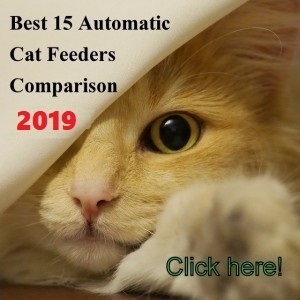 It is hard to find these days an automatic feeder that has been built to last, but in this website you will find some. Good luck and thank you again for your contribution. 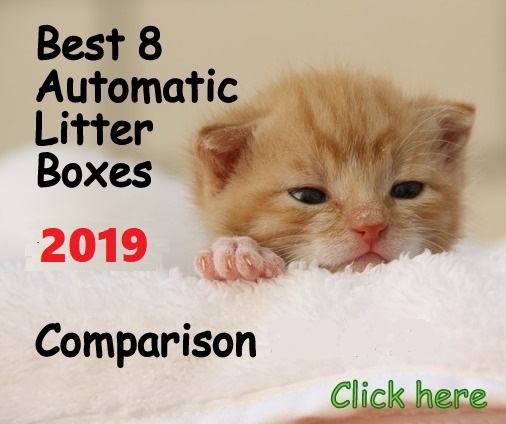 In the comparison chart you say that this feeder can have an AC adapter. Which AC adapter, and how much does that cost? 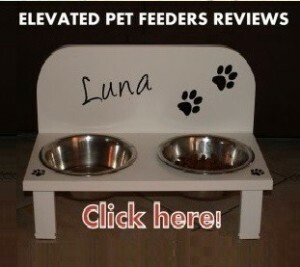 You’ve also reviewed a Petmate Infinity Feeder. What’s the difference? All I can find is that the Le Bistro is of the Inifinity line from Petmate, so that would imply they are the same thing? Hello Karen, Petmate feeders do not include AC Adapter, it has to be purchased apart. However, this is possible with older units since the new ones I understand are only battery operated. Ask if the version you are interested in, has AC adapter connection and if it does, they can specify the electrical requirements for this AC adapter so you can buy it apart. Infinity and Le Bistro are different names for the same automatic feeder made by Petmate Company, it only changes the color and size. Last fall Petmate changed their design and now the new version is called Le Bistro Portion Right or Le Bistro Portion Control, they have not updated their website with the new version but you can find it online.This new version is only battery operated. If you use dental care products that required the cat to actually bite through the food, the dispenser mechanism will be ripped apart. It was apparently designed for the very small dry food pellets. Ours no longer dispenses. The food simply falls through, like a trough feeder. This unit simply is not very sturdy. Hello Don, thanks for sharing your experience! Our unit is no longer covered by the warranty period. The internal flaps that control the dispensing of food are in direct contact with the food, become brittle, and break off over time. This makes the feeder useless as the cats then can eat as much as they want as there is no metering of the dispensing of food. If the internal flap material and dispensing design has not been improved then this a throw away item The life of D-cell batteries has proved longer than that of our feeder. The consumers expectation is that the feeder should be built to last and a non replaceable and non repairable internal part should not be the reason for needing to dispose of the entire unit. Thanks Steve for sharing your experience with this automatic pet feeder. 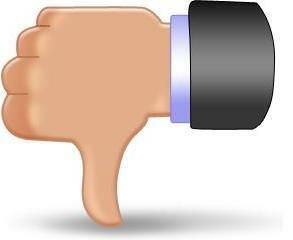 Your bad experience will help people who want to buy a made to last unit. Thanks again! I travel for work and have had two petmate feeders for a few years. They work excellent, and I do have them plugged in along with batteries if power fails. However, just today, I noticed the plastic flaps came out with the food. I fired up a spare I had and took this one apart. I don’t think there’s anything I can do to make new flaps, and there is no option to parts so I’m afraid I’m going to have to ditch it. I like having two so I can dispense Rx food and regular at different intervals. Parts would be useful. It’s not a complicated mechanism. Thanks for sharing your experience with this feeder Deanna. Today when I put in new batteries the computer on my pet feeder went haywire. It flashes 12:00 am as usual. However, when I use the programming buttons they no longer work. I press up and minutes flash. I press up again and it gives me solid 12:00 am. I reseated the batteries and now it shows every indicator with meals flashing. However, it does not progress through the indicators like it it did. it What should I do? Hello Tom it seems like you got defective unit, have you contacted the manufacturer?